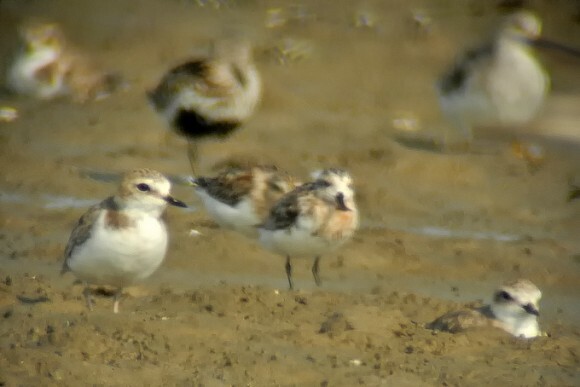 As part of Birds Korea work on a mini-documentary on Spoon-billed Sandpiper and tidal-flat conservation, a team of Birds Koreans (Paul Mossine, Ha Jung-Moon, Jason Loghry, Lee Jung-Kyu and Nial Moores) visited several West Coast Sites. In sweltering heat (reaching between 35C and 37C each day) and in intensely bright conditions, we filmed landscapes and conducted interviews, and counted shorebirds at several sites. Within Saemangeum, the Geum Estuary, Seosan and Song Do in Incheon special birding highlights included three Common Shelduck (presumably birds that had over-summered? 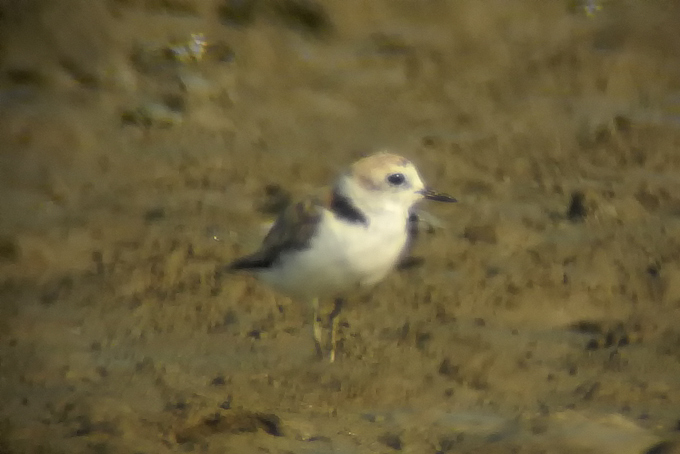 ); Black-faced Spoonbills and Chinese Egrets at two sites; an adult male Oriental Plover (NM only); 30+ Greater Sand Plover; an astonishing 23-30+ White-faced Plover (only three or so previous records nationally of this intriguing taxon! ); a single adult Nordmann’s Greenshank; and (best of all!) 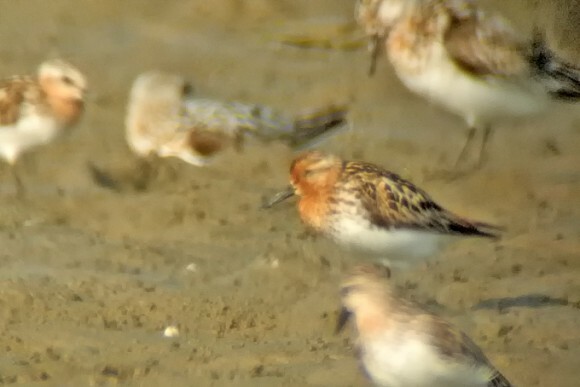 approximately eight Spoon-billed Sandpiper (all individually identified on plumage).